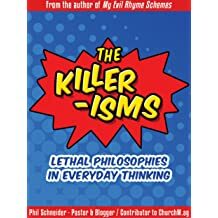 Phil Schneider (1983-Present) is a man of many trades: teacher, pastor, and author. He began writing fifteen years ago and continues writing today, with some improvement in the quality of work produced. 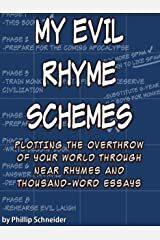 His first book, My Evil Rhyme Schemes, is a collection of poems and essays written over the past few years. 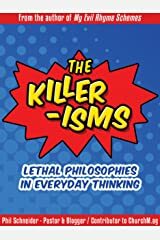 His second book, The Killer-Isms, was released in the fall of 2014 and discusses the problematic philosophies that our culture so readily espouses. 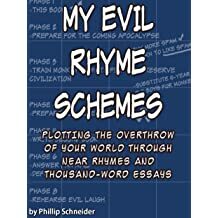 You can find out more about Phil Schneider at PhilSchneider.net or by following him on Twitter (@phillip320). I’m calling that out as a lie. It absolutely is about getting. Christmas without gifts isn’t Christmas. But it’s not just about getting a new sweater you’ll never wear or a toy you’ll be tired of in two days. Christmas is about getting a gift so great that it changes you forever. Christmas is about getting that gift that alters your life, the gift that serves as the pivot point for the rest of you life. Beards that can be grasped by the hand are gross. Yes, I have a beard, but that’s how I know. I’m on the other side of the razor. Nobody knows the stubble I’ve seen So trust me: long beards are gross. They’re like nature’s petri dishes. The only way for junior high boys’ locker room to get nastier would be for those unwashed man-cubs to have long, grimy beards. In 2010, I was laid off from my job as a Geography teacher with the East St. Louis Public School District. That week, I started writing a book that I entitled Something I’m Writing. I’ll explain the title for now, but for now, I thought I’d just show you the outline I’m going to be working from. I have abandoned much of what I initially wrote, so this will be, in essence, a whole new book. Hello, friends, it seems that I’ve written a new book. Entitled The Social Christian, it was written based upon a class I taught at church on how we use social media. I absolutely think that everyone should read it. 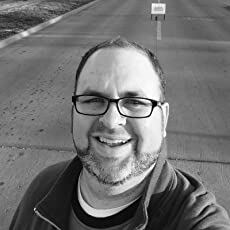 Of course, not everyone has $10 to plop down on a book, so my church and ChurchMag would also like to offer up the recordings I made of my class, along with the presentation files of my notes. I recently had the privilege of preaching the close-out sermon for my church’s series You Are Loved. I spoke on reflecting the love of Christ, particularly toward our enemies. http://philschneider.net/wp-content/uploads/audio/2017-05-07am.mp3 And if you want, here’s the video from the service. This might be one of my first sermons. I found it on my computer and finally got around to editing it. I’m posting it mostly out a desire for humility.